New Month, and this one’s all November-y! Let’s see what terribly exciting stuffs await (hint: LOTS of exciting stuffs)! PRINCESS T at Academic Hall, from the Ottawa U Drama Guild. A cool as beans adaptation of Puccini’s TURNADOT, from the swell kids at Ottawa U (And starring Visitorium fav’rit Danielle Savoie!). Plays until the 2nd. TARTUFFE at the National Arts Centre Theatre. Last chance to catch a pretty great Andy Jones take on Moliere, with the new NAC Ensemble. Until the 2nd. 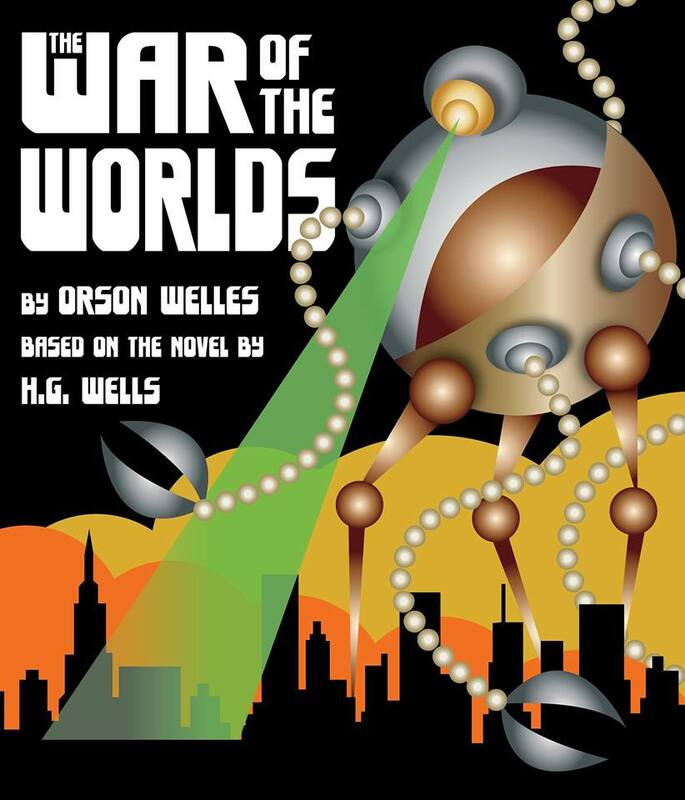 WAR OF THE WORLDS: A LIVE RADIO PLAY at the Gladstone Theatre, from Plosive Productions. A short run for this rare Halloween version of the radio play, featuring Zach Counsil, Michelle leBlanc, live foley and a slew of CBC all-stars! Until the 2nd. DEADLY MURDER at the Ottawa Little Theatre. Twists and turns and murderly fun, OLT style. Until the 2nd. MERCUTIO AND OPHELIA at the Avalon Studio, from Fireflood Theatre. A Few more chances to see what happens when Hamlet and Romeo and Juliet get their wires crossed. The 1st thru 3rd. YOU FANCY YOURSELF at the Great Canadian Theatre Company. A terrific one-hander from Maja Ardal about schoolyear life abroad. Until the 3rd. OCCUPY ME at the Ottawa Theatre School Studio, from Counterpoint Players. 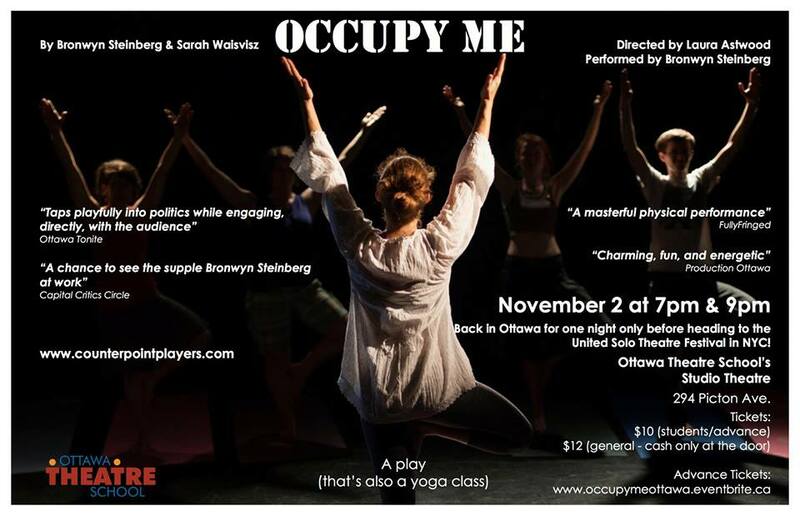 Two shows, one night only of Bronwyn Steinberg’s one-woman yoga activism hit from SubDevision and Ottawa Fringe. Only on the 2nd! FREUD’S LAST SESSION at various locations, from 9th Hour Theatre. Last month to check out the epic Freud vs.CS Lewis scrap! On the 2nd, 8th, 15th and 16th…locations and showtimes HERE. 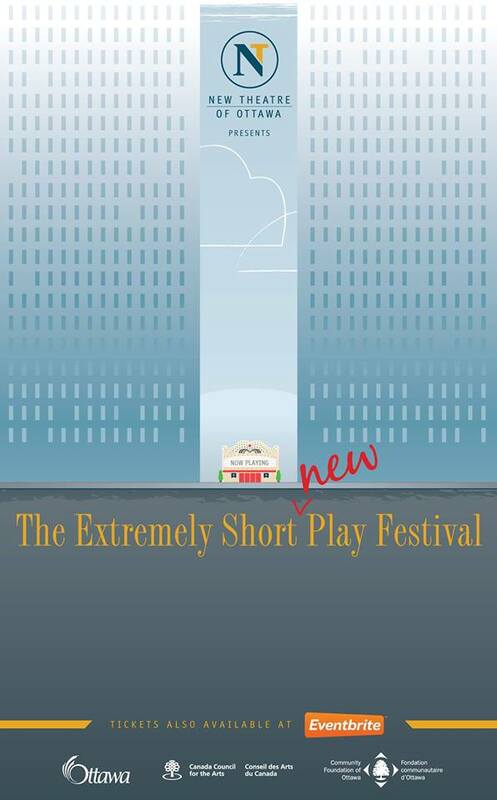 THE EXTREMELY SHORT NEW PLAY FESTIVAL at Arts Court Theatre, from New Theatre Ottawa. 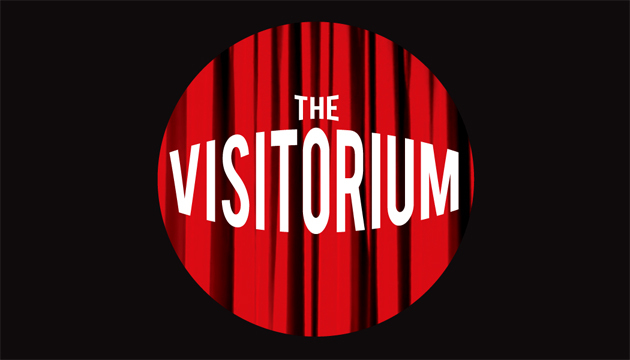 Back for a second incarnation with a host of new short original plays from local artists like Lawrence Aronovitch, Karen Balcome, Tim Ginley and more! Guaranteed fun time. Until the 10th. WHERE POPPIES BLOW at the GCTC Studio, from Salamander Theatre. A special showing of Salamander’s young audience show, lest ye forget. Matinee of November 3rd. AGNES OF GOD at the Ron Maslin Playhouse, from Kanata Theatre. John Pielmeier’s contentious play about religion, obsession, and other dinner table subjects. From the 5th to 16th. THE LAST OF JANE AUSTEN at the Gladstone Theatre, from Phoenix Players. Two ladies try to train a boxer…I forget which Austen that was. From the 6th to 16th. 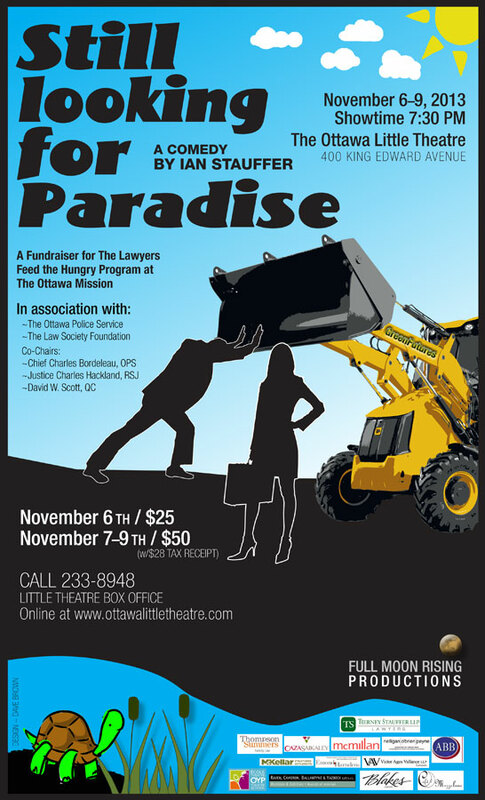 STILL LOOKING FOR PARADISE at the Ottawa Little Theatre from Full Moon Rising Productions. A new Ian Stauffer play, as well as a fundraiser for the Ottawa Mission. 6th to 9th only! HAMLET (SOLO) at the NAC Studio. OMG It’s back! Raoul Bhaneja performs the entirety of Zombie Bill’s masterpiece all on his lonesome, no set, no effects. Bloody inspirational. From the 12th to 23rd. MOMMA’S BOY at the Raw Sugar Cafe, from Bear and Co. A delightful slice of musical romance and drama as Bear brings back their Fringe show for one night only in town. Catch it on the 13th! THE 7 PERSON HIGH CHAIR PYRAMID HIGH WIRE ACT at Arts Court Theatre, from Missoula Oblongata. Also playing for one night (the same night, sheesh! ), the oblongata gang returns after merriment a couple years back with THE DAUGHTER OF THE FATHER OF TIME MOTION STUDY. Expect surreality and amazingness. On the 13th! ALL GALL at St.James United Church, from Third Wall. An evening of French short works from the 3rd Wall gang, part of their continuing EMPTY SPACE reading series. Only on the 13th! SYLVIA at the Ottawa Theatre School Studio, from OTS. This is the big one!! First show of my new home’s season, featuring the awesome graduating class of 2013/14! 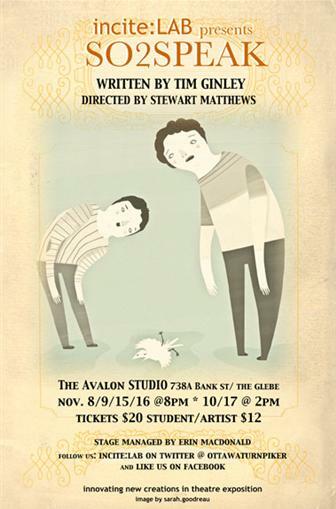 Come on out and see A.R.Gurney’s comedy about a family driven apart by a man and his dog. From the 14th to 23rd! Note: if you don’t come to see this, I will have to assume you don’t love me anymore. 8 WAYS MY MOTHER WAS CONCEIVED at the Gladstone Theatre. A one woman show from Michaela di Cesare, trying to disprove her Mother’s claims of immaculate conception. From the 20th to 23rd. YOU SHOULD HAVE STAYED HOME at Arts Court Theatre, from Praxis Theatre. A touring hit about shenanigans at the G20, hitting Ottawa for a limited engagement. Come get your protest on! From the 20th to 23rd. LEGALLY BLONDE at Centrepointe Theatre, from Orpheus Musical Society. Hey, they took that movie about the pretty girl who became a lawyer and gave it some songs! And people like it! Maybe you will too! From the 22nd to December 1st. 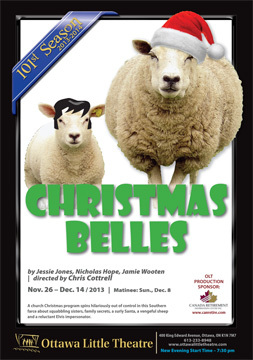 CHRISTMAS BELLES at the Ottawa Little Theatre. Some holiday themed fun from OLT. Bring your own Egg Nog (but don’t, really). Starts the 26th thru December 14th. GOODNIGHT DESDEMONA, GOOD MORNING JULIET at the Great Canadian Theatre Company. Time-warping Shakespearean fun from Ann-Marie MacDonald. From the 26th to December 15th. 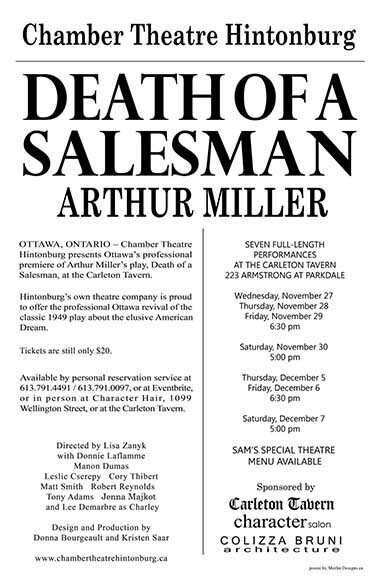 DEATH OF A SALESMAN at the Carleton Tavern, from Chamber Theatre. Willie Loman finally gets his day in Ottawa, at the venerable Carleton Tavern! A not-to-be-missed show from the 27th thru December 7th. And at Memorial Hall in New Edinburgh (39 Dufferin) there will be an evening of previews of works-in-progress from CONNECT DANCE and the OTTAWA STILT UNION on the 30th, which sounds like some sweet fun to me. VISAGE DE FEU at the NAC Studio. Until the 2nd! CENDRILLON at the NAC Theatre. A new spin on Cinderella, from the 6th to 9th. LA FA LE DO at L’Ecole de la Salle, from Theatre la Catapulte and Theatre Francais (Toronto). The 6th to the 9th. OSCAR from Theatre de L’Ile. From the 6th to December 14th. LE PROJET LARAMIE from Comedie des Deux Rives, at Academic Hall. A franco-translation of The Laramie Project from the Ottawa U gang. From the 19th to 23rd. CARTE BLANCHE at Espace Rene-Prevost. 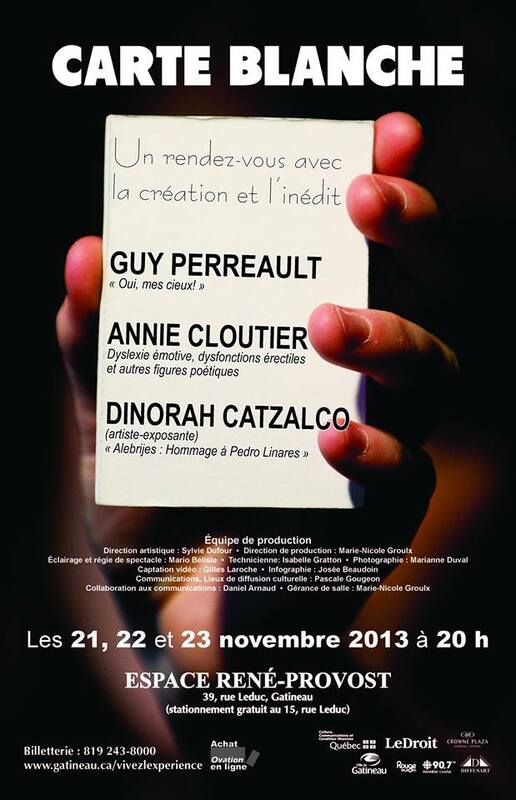 New Works from Guy Perrault, Annie Cloutier and Dinorah Catzalco, from the 21st to 23rd. OBALDIA THEATRE (ou THEATRE EN FOLIE) at the Shenkman Centre Richcraft Theatre, from Theatre du Village. From the 20th to 23rd. PETIT BONHOMME EN PAPIER CARBONNE at the NAC Studio. Storytelling and wee puppets! 29th and 30th. – ‘BOUT TIME on November 4th at Mother McGinteys (Heart and Crown, Byward Market). The regular 3 on 3 battle continues! – SPOTLIGHT ON...Andrew King, November 14th at Centrepointe Studio. – Workshops! Improv Foundations on November 1st and 22nd at the Centrepointe Studio Theatre and Chamber Room, respectively. Also, Sketch Writing workshop on the 24th at the Avalon Chaplin Studio. Trust me, Crush gives good workshop.